Can I Interest You in a Thursday Rundown? In one week from today it will be September. Crazy, huh? Here comes your final Thursday Rundown of the month. End of a Mini Mascot – One of the very first things I did in my professional career while working in the athletic department at the University of Montana was introduce a mini mascot. Sounds creepy, right? Don’t be so quick to judge! Fresh off of graduating from college in 2009, I worked with the mom of a talented boy to create Mo, a miniature version of the University of Montana mascot, Monte. It was borderline magical the day we surprised a wild Washington-Grizzly Stadium sold out crowd with the newest addition to our mascot family. Well, after a great seven year run, Mo will no longer grace the sidelines…at least for now. 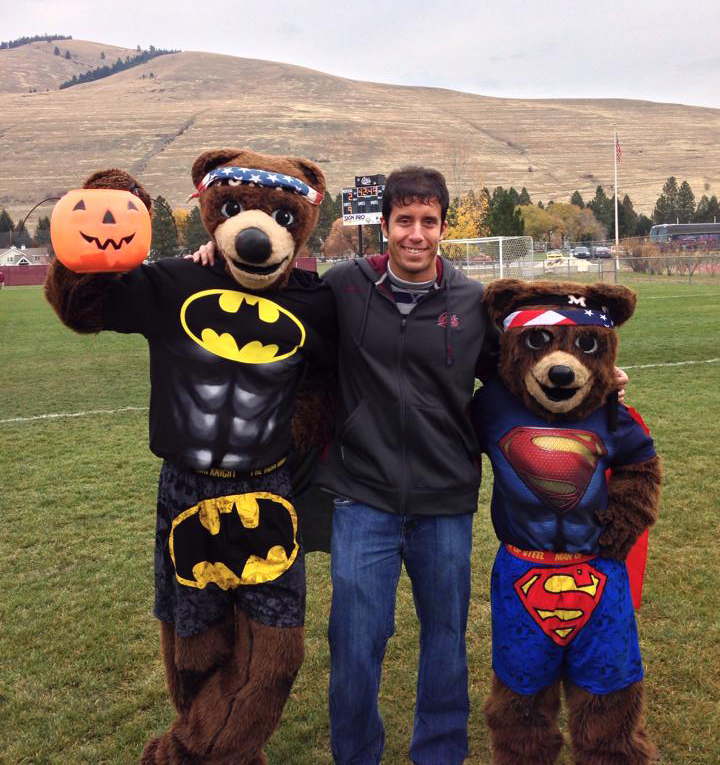 I want to thank the two kids who wore the costume and represented Grizzly Athletics so well. I enjoyed helping to develop Mo (right) when I was at the University of Montana. In Front of the Camera – Classes started for Coastal Carolina University this week and it has been a very exciting time. Luckily for me, I was able to share some of my enthusiasm with WPDE (ABC 15) on Monday. The station called wondering if I would do an interview addressing our social media momentum. Thankfully they didn’t have me talk that much. To watch Sydney Glenn’s story, click here. 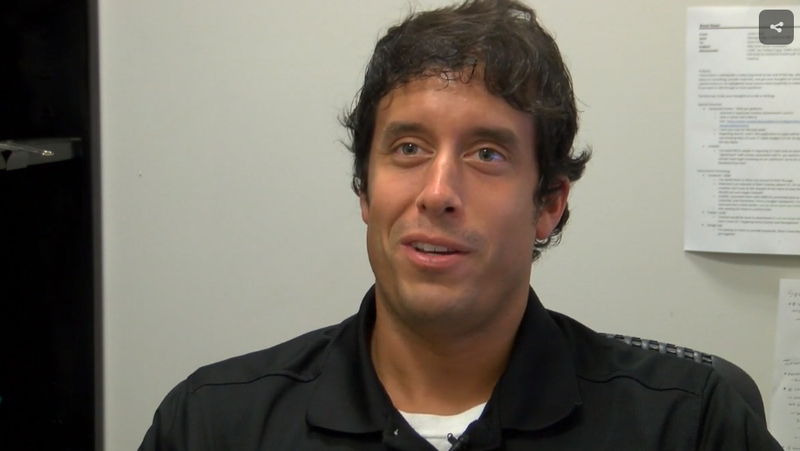 A screenshot from my interview with WPDE’s Sydney Glenn on Monday. Final Thoughts on Summer Olympics – The Rio Games concluded on Sunday and I must admit that I didn’t watch much of the closing ceremonies. I just find it sad. I love the Summer Olympics and to see them end after four years of anticipation is hard. I feel bad in my heart for all the athletes who worked so hard for their moment in Rio only for it now to be over. On a lighter note, I really enjoyed watching America dominate the games. What I didn’t enjoy was the Ryan Lochte saga. It really took A LOT away from the games and unfortunately it will forever be a defining part of the 2016 Summer Olympics. But I try to look at the positives and I can say that there was nothing better than watching the games with my wife in the evenings. From the Archives – So, would you like to read about me defending a social media user, reviewing a Darius Rucker concert, or evaluating Instagram Video? On this date in 2015 I came to the side of a typical American who was condemned for giving the play-by-play over Twitter of a breakup on a plane. 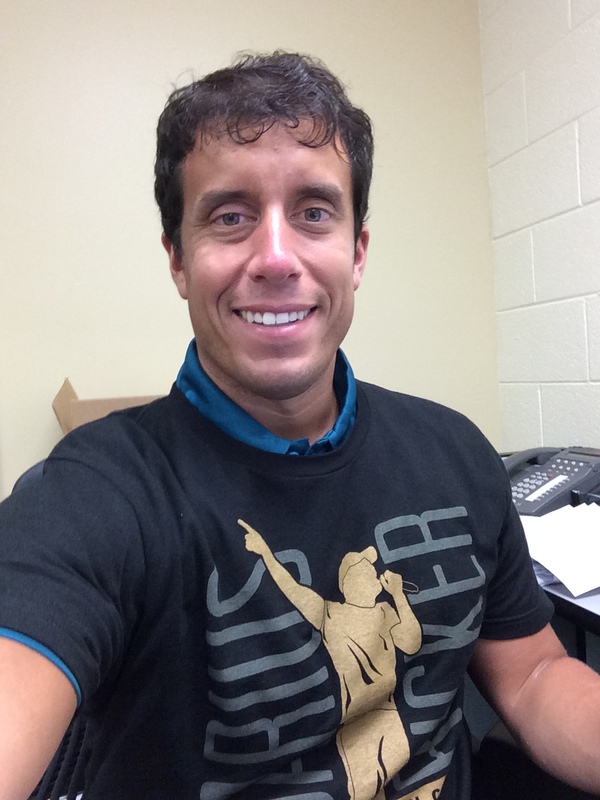 In 2014 I shared my thoughts on the Darius Rucker concert I attended that weekend. Finally, in 2013 I reviewed Instagram Video about two months after it launched. Pick your poison. Me with my Darius Rucker shirt after his concert in 2014. Thank you to my readers for taking the time to read Don’t Blink. Hopefully soon I will be introducing another reader appreciation opportunity for all of you. Enjoy the rest of August. Don’t Blink. This entry was posted in Uncategorized and tagged mascots, Mo, Mo mascot, Monte, Summer Olympics, Sydney Glenn, University of Montana, War Dogs, WPDE by brent. Bookmark the permalink.